The Listenwise Listening Olympics: Let the Games Begin! While you cheer on your favorite athletes in Pyeongchang, you can take part in our Listenwise Listening Olympics! To participate, have your students listen to our Current Event stories every day of the Olympics- between February 12th and February 23rd. Our competition will be in the form of a Listening Olympics quiz at the end of the two weeks. The questions will be based on the news stories heard on Listenwise over the two weeks of the Olympics. Assign the quiz to your students and you could win Bose headphones!! 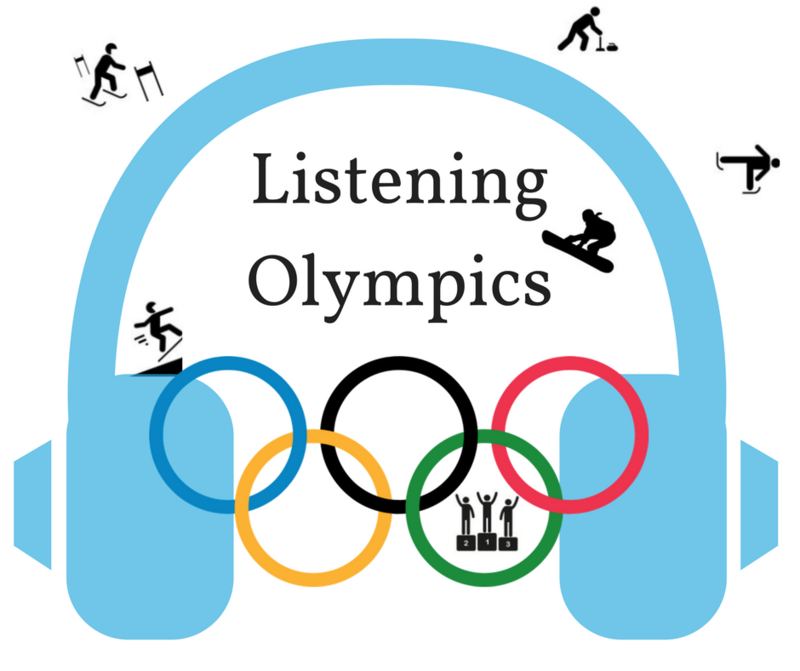 Be sure to play the Listening Olympics opening ceremony audio story with your class to get them excited about participating and learn more about the competition. Students can take the listening news quiz from Friday, February 23rd through March 2nd. The more you and your students listen, the better the chance you have of winning! In the Olympic spirit, we will award Gold, Silver, and Bronze medals based on the top quiz scores and highest student participation! Did we mention you could win Bose headphones, a set of classroom headphones and Listenwise swag?! Get those ears ready for some listening. Who can participate? Everyone using Listenwise Premium. All grades are welcome. **Be sure to have your 30-day trial of Premium— if you are a free user and want to partake in the contest, click “Start 30-Day Free Trial” on your dashboard. When to listen: Listen to the upcoming current events Monday February 12 – Friday February 23. You don’t have to listen on the day the new current event is posted – you can go back and listen to the stories at the end of the two weeks. When to take the quiz: The quiz will be released on Friday February 23 and you will have until Friday March 2 to have your class submit answers. Contest ends: 11:59 pm EST on March 2 – all quizzes need to be submitted by midnight on March 2. How to officially enter the contest: No Need to Sign up! Students submissions of the Listening Olympics quiz in Listenwise will be your contest entries. Simply assign this quiz to students in your existing classes. If you need help getting started, check out our Teacher Support Center to find out how to add students to Listenwise. Then assign the Listenwise Olympics quiz to your students anytime from February 23 through March 2. We only accept one quiz per student account – no retests. Quizzes must be submitted by March 2 to be entered to win. How to win: Winners will be determined by student quiz performance in Listenwise and student participation. Be on the lookout for fun social media prizes for participation. In the Olympic spirit, we will award Gold, Silver and Bronze prizes to contest participants based on the top quiz scores and highest student participation! Be sure to follow us on twitter @listenwiselearn, tweet using the #listeningolympics hashtag and be on the lookout for opportunities to win Listenwise swag. ← Announcing Planet Money Economics Lessons!